So about halfway through writing "Getting Back in the Saddle" I realized that nobody was going to have a clue as to what I was saying, unless you played Magic The Gathering. 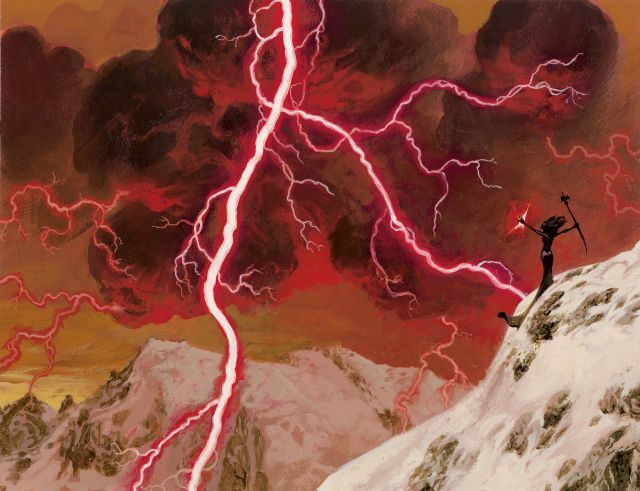 After thinking about it a bit I thought I should revisit an old idea and create a bit of a primmer on Magic The Gathering so that when I talk about it on this blog, which I will at length, people have an idea or at least an article about what I'm talking about. Eventually I'll get to the rules and even some advanced concepts but I thought a good place to start would be metaconcepts, not how to play the game but what the game is. What Do I Mean By Meta? For the purpose of this series I'm breaking things up into three groups. meta-concepts, rules (which by the way will have multiple sub-posts) and advanced concepts. Meta concepts are things that in my mind you don't need to know in order to play the game, or even play the game well, but tend to be discussed in Magic circles. Magic The Gathering is one of the first, if not the first trading card games. Before Duel Monster, Digimon, Pokemon, Chaotic, or even the franchise TCGs like Dragon Ball Z there was Magic. In the game you play the role of a planeswalker or wizard dueling depending on how, deep you want to roleplay. I'll get to what exactly a planeswalker is later. It's complicated and weird, but for now lets just say multiverse traveling wizard. Whenever I'm going to tell and epic Magic the Gathering story at somepoint or another it's going to devolve into flavor. Well what is flavor. Imagine a videogame. Now let's pretend you had no graphics. Well that's okay because all the animations rely on math to tell them what to do. The death animation occurs when you guy's hit point number reaches zero. But you don't say, "The life counter reached 0" You say Link died. Flavor represents sort of what's taking place in the minds eye. For instance while I won't get into what in terms of the rules the card does when you play the card Lightning Bolt, you think. Also flavor represents the lore of the game. For instance a lot of cards may reference events,places or people in game lore, such as Coalition Victory, representing the Dominarian victory of Phyrexia. Wizards of the Coast, normally, Lorwyn was weird, releases an expansion block and core set of Magic each year. In general the core sets are designed to provide players the basic no frills tools they need to play the game. They tend to have simpler more easily understood cards then expansions, largely because they are expected to be teaching tools for new players. While Wizards of the Coast, position has changed slightly recently, generally the core sets were relatively consistent. Recent core sets have surprised a lot of players because a lot of the cards that they took for granted were going to be there forever have been replaced by newer ones. How the main sets are referred to can be weird so here goes. In the beginning, '93ish Richard Garfield released this new game. This was alpha the first core set. The game sold like hotcakes so he printed up a second printing, which is referred to as beta. These have mostly the same cards and can be thought of as same set, which together is referred to as limited. Mostly these sets are known for two things, creating the foundation of the game, and a lot of "early installment weirdness". Mainly insanely broken, or overpowered cards that for the sake of game balance are no longer in print. Conversely these sets also had a lot of mainstays that remain player favorites. After that wizards mostly stuck to naming editions based on how many there had been before, but in 2010 they decided to start naming them based on the year so the current set which will be playable in Standard Format through most of 2013 is called Magic 2013. Expansions sets are released to keep the game fresh. Typically three of these that share a setting and theme are released each year. Together they are called a block. Normally blocks are named after the first set of the block so the current block will be called Return to Ravnica after the first set. The way I think of format is as sort of commonly understood addendums to the rules. The most common "addendum" is a restriction on the cards you can play. When I was in high school I had a hard time getting my friends into magic because they were intimidated by the thousands of potential cards they had to deal with. One of the most common formats his standard which restricts cards to only those printed or reprinted in roughly the last two years. You also have formats that dramatically add to the rules like Commander, and Archenemy. So often times you will hear player refer to casual or "casual formats." What do they mean. Well it's weird. Wizards of the Coast has a lot of organized play. But it's generally accepted that that's not where everybody plays the game. Think of it like this. You had your high school basketball team who had coaches, refs and nice gym lines, and then you had everyone else who would play a quick pickup game after school in the driveway. The differences are similar. The rules are enforced not with a ref who has a 2 ton book, but by the players themselves. The stakes are lower if you loose who gives a damn. You didn't have to pay an entrance fee. Oddly enough the lack of format has become a format. You'll hear people all the time referring to casual format. Or formats when talking about things like Commander. Since casual generally has lower stakes causal players are more willing to play cards that are fun but won't necessarily win them the game. The quickest way I can explain the metagame is the as the expected strategies and cards in any given environment. Let's pretend we're talking about race car driving. You're driving a few hours after it rained. So you know damn near every driver who knows what the hell he or she's doing is going to put on tires that have better grip. You can also probably predict how they will adjust they're driving. This is all information you can use to mentally prepare yourself for the race. Same deal. Let's take standard. Because of the limited card pool there are generally only 10-15 tournament level competitive deck archetypes in that format. I'll talk alittle more about this later, but deck archetypes are basically acceptable strategies. While every now and again someone will come out with a "rogue deck" most viable strategies in the game have been tried before. Learning to recognize the pacing and cards that make up a given strategy can be a huge advantage. While I alluded to it earlier magic can be an information cancan. Meaning it can get into I know you know I know territory. While not crucial to the game player archetypes are interesting. 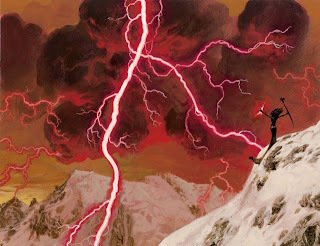 Wizards of the Coast, I'll just call them Wizards from here on in, when designing cards tries to categorize who the card is for by splitting players in to three well four if you count old Vorthos, into mindsets. Vorthos - Plays the game for flavor. This is the guy who will try his damnedest to make a Weatherlight deck work, ride the dragon, and invent or play as character who's slinging his spells. Radha badass Keldon Warlord, commanding a mighty host. Timmy - Likes big splashy things. Timmies tend to be the guys who will overlook how hard it is to make a card work for the sake of it being cool. Who cares if you'll win only 1 out 4 games. The one will be superspecialawesome. Johnny- Likes things that are bigger than the sum of their parts and thus is willing to play cards that don't do much on their own, but in concert can do awesome stuff. I like to think of Johnnies as clock masters. Most people would look at a screw and throw it away, not Johnnies. They'll try to fit that screw into a monster clock that will mop the floor with you. Spike - Just likes to win and judges how good a card is based on that criteria. How likely is this card going to win me games? Hello. I am Greg Miles. I am blogger who records audio of local public meetings including Southfield Board of Education meetings. You are considering altering your public participation rules. Recently, the Southfield City Council began to consider a similar move, (Discussion of this particular issue begins roughly 2 hours and 27 minutes into the meeting/video) to reduce the time residents had to speak from 5 minutes to three. I wrote an editorial on my blog describing my opposition to Council’s change and eventually spoke during a City Council meeting on the issue. In the effort of moral consistency, I oppose your proposed changes and am emailing you a link to the blog post I had originally written. Good evening. I am Greg Miles. I reside at 19116 Greenwald Dr. I am here today to oppose the proposed change to Council's communications rules. I feel that recently the ability of residents to address their concerns to council has been constrained, for example moving the communications portion of meetings to the end. I feel that the proposed change would further make it harder for residents to address council. While I understand the frustration Council may feel at some of residents' misinformation or lack of decorum, I feel that people must have a way to address their local government in person. Most of us can't travel to Washington, or in some cases even Lansing. You are the governmental officials that the public has the most access to. You are our community leaders. When the bureaucracy is broken you're the super. Furthermore, while I, like you, often disagree with what some of the more antagonizing residents have to say, I feel that there is value in listening to them. Some of the details of facts they cite may be wrong, but they often have valid criticisms of the city government such as the length of time it took the city to hire a new Police Chief. Even when I disagree completely with them I find value in the knowledge that people exist in this city that hold their beliefs. I further believe that to restrict the ability of residents to communicate with Council is unfair to residents whom may have made arrangements in order to be at meetings. For instance at an April meeting an active member of the community was dismayed when although she was first on the agenda she was made to wait a little over an hour to speak before Council. Often times other residents leave before they have an opportunity to state their concerns. I don't know why but I feel that it may be because they have other responsibilities to attend to, such as family and work, when the meetings run long. I also understand that there is a concern about how long the meetings have been running and the need to move items off agenda to compensate. To that I would say that I believe that residents should not be penalized for that, and in the coming weeks when Council schedules next year's meetings it takes into consideration the need to meet more often as to my knowledge Council has met slightly less often in 2012 than they have in 2011. I also am unsatisfied with the Council's proposed solution, to give residents 3 minutes and extend time if Council deems it necessary. I feel that this adds a subjective element to the rules that may not be fair. What if Council never extends time for those who criticizes them, even justly? It is through such criticism that many of the problems within the city are brought to light. I believe your proposed rule changes go even further than the Council’s because, in my view it provides a nuclear option whereas the Board President would have the authority to, “terminate a participant's statement,” under what I consider a very subjective set of guidelines and limits the participation portion to thirty minutes creating a scenario in which a very controversial issue will have limited public input. P.S. Because I am a blogger I don’t like to try to affect public policy, especially in secret, so whenever I send an email like this one I try post a copy of it on my blog for the sake of transparency.